Late last year, Hideo Kojima set up shop once again and announced he was working on a new title. Only this past March, he worked on the Death Stranding teaser starring Norman Reedus. But he was worried info would spill out. In the most recent HideoTube on YouTube, Kojima talked about E3 leaks and how he didn’t even tell Low Roar, the band whose track “I’ll Keep Coming” appeared in the Death Stranding teaser, what the game was about. The group only knew their music would be appearing in a PlayStation title and had to guess what it might be after seeing a Kojima Productions teaser that read, “I’ll Keep Coming.” The band finally learned that it was Death Stranding while watching Sony’s E3 press conference. Kojma, an active Twitter user, said he couldn’t even tweet that he was going to E3. 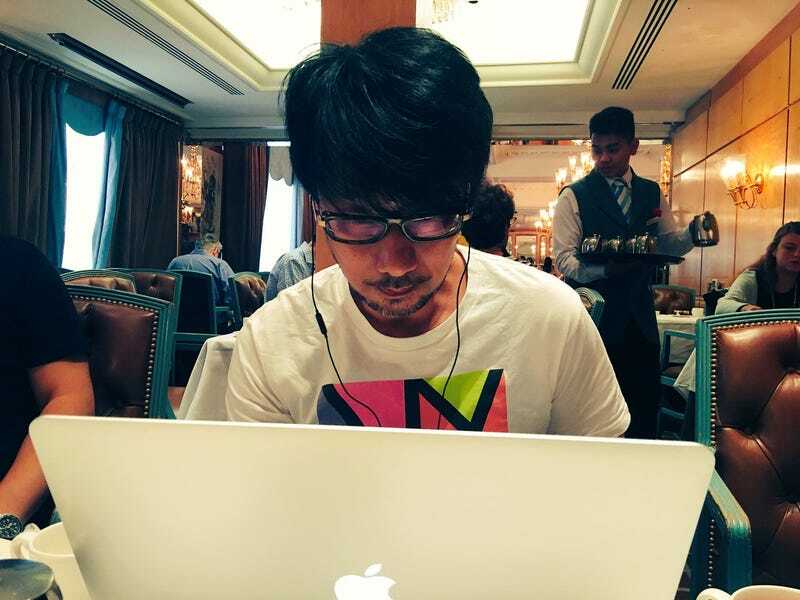 Kojima even went as far as staying at a Los Angeles hotel that was further from the action at E3 so he wouldn’t be spotted. When people did happen to see him and ask for photos, he declined, worrying that his photo would appear online and that people would know he was in L.A. for E3. The day of the rehearsal, Kojima snuck in a back door so he wouldn’t be spotted and waited in a different area backstage. “Even when going to the bathroom, I had to go to a separate restroom,” he said. But after doing an interview with Geoff Keighley, it became clear that Kojima was in L.A. for E3. When Kojima finally did reveal the game, it ended up being on of E3's biggest surprises.